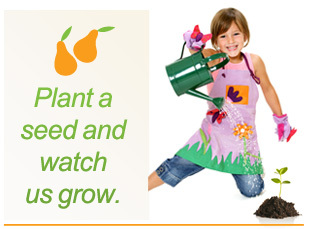 Peartree employs a play-based, child-centered approach to early childhood education. Our curriculum is a dynamic, interactive experience that builds on the interests of young children and influences them in developmentally appropriate ways. It addresses the physical, socio-emotional, cognitive, language/communication, and self-help skills of children. Anything and everything that happens during the day, planned or unplanned, is a part of our curriculum. Our plan is to motivate learning and be responsive to our children. Preschoolers need a classroom environment that encourages and accepts the student’s autonomy, interests, and initiative. Peartree understands that we must address the development of the whole child in these early years of life. Our nurturing teachers are aware that they are in a unique position to help young children learn to trust others and develop secure attachments with the important people in their lives. Our curriculum for this age group helps build relationships with children by showing how to create meaningful daily routines and experiences that respond to individual children's strengths and interests. This age group thrives on new experiences, and we fulfill this need by providing care, directions, and projects that allow them to explore the world without stress or pressure. We aim to work with each child as an individual and ensure that each day is a fun-filled adventure. Our Intermediate program sets the stage for children's success in school and in life. Our staff provides ongoing efforts to value children as individuals and embrace their unique contributions to the classroom community, which will inspire in them a love of learning to last a lifetime. We believe that children learn best when they are actively involved with materials and peers. That is why we place so much emphasis on setting up the proper learning environment and building positive, meaningful relationships with children and their families. We all play together, cooperate, and share. By encouraging curiosity, compassion, and a love of learning, our dedicated staff inspires imagination. Through richly textured learning experiences and a carefully designed environment, we encourage children to seek out information and look for facts. We value wondering and playing with possibilities. Teachers encourage creative exploration through art, music, and movement. Children also experience a rich variety of learning experiences including science, block constructions, books, cooking, and dramatic and sensory play. Peartree provides all school related supplies and materials for your child. However, you can help by understanding that our program is filled with hands-on learning. Please do not send your child in “good” clothes. We allow our pre-schoolers to explore with the freedom of a child, and that often becomes messy! Each child must keep a complete change of clothes at school. Please clearly label your child’s belongings and include: shirt, pants, socks, underwear/diapers, and wipes. We will return these items to you at the end of our semester in June. You are welcome to print our supply list for quick reference.